Thanks to my sister-in-law and her unused gift card, I enjoyed my first trip to Whole Foods this week! Very exciting and completely overwhelming at the same time, but I did manage to survive. After finding most of my usuals and almost checking out, we found the cafe and play place. So I sent Lance with the kids while I took one last spin. Good thing, because in addition to finding my usual produce and what not, I wanted to come home with one new and unique item to use in a recipe. Love Beets has these little guys all ready to go in different flavors. I chose the Organic Mild Vinegar because I wasn’t sure how I wanted to use them and wanted something neutral. I almost left with Honey and Ginger and am regretting not just getting both! They also have more flavors AND more beet products. Beets in general are something I don’t recall ever really eating, but I know the health benefits are vast. And come on, any natural food that stains your skin like that must be good for you (be warned!). Quinoa is always part of my weekly meal prep, so that’s why I use it on so many of my recipes–but why not? So to make a complete dish of this I combined my white quinoa with chopped broccoli. Tossed with sliced Love Beets (I only used one! ), and sprinkled with feta because I’ve succumbed to the fact that my life is not complete without cheese. 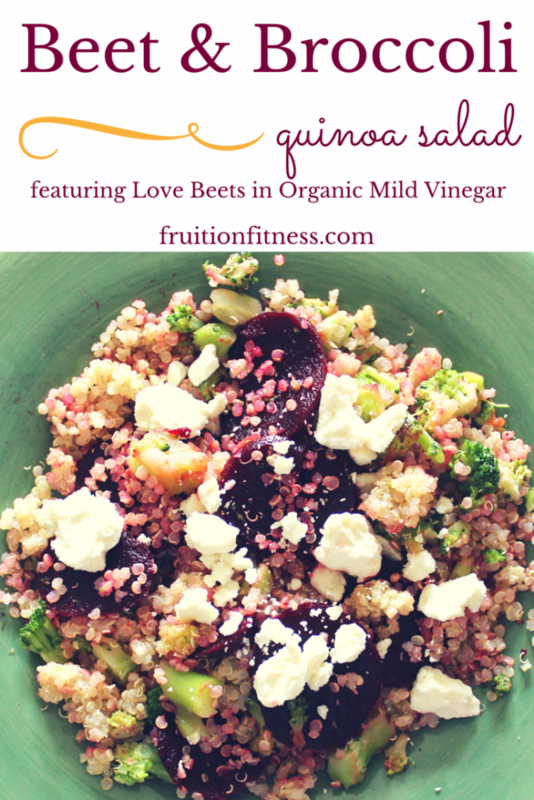 I love the way the beets color the quinoa and give the salad a tangy kick of flavor. No dressing necessary! With my meal prep and one tiny package of Love Beets, I personally have about 4 days of salads–either as lunch, or on the side for dinner. Are you a beet fan? Ever hear of Love Beets? 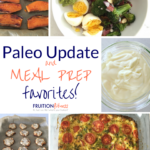 Are you interested in learning more about my weekly meal prep? 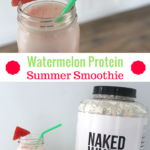 Linking up with Annmarie for Foodie Friday! Also linked up with Deborah and Tina Muir for Meatless Monday! Sign up to get posts delivered to your inbox! Beet are a food I used to hate but now love and the pre-cooked beets are fantastic! Love this salad idea. I’m all about easy! And the one package lasts so long. Thanks! I’m afraid of real beets, but Love Beets were amazing! Love beets are one of my favorites! Your first trip to whole foods? I love it there so many options and yes a little over whelming for sure. this salad looks amazing! Thanks! I get very overwhelmed in huge stores like that…I would love to explore a bit more. Definitely with making my own nut butters and all the unique grains. I LOVE beets. I am always looking for new recipes to incorporate them into. So glad I discovered them! This sounds good, I am trying to eat more veggies this sounds like a great way to get them in. They were so easy and yummy! I definitely don’t have time for that! These were great! I use quinoa all the time, but my memory of beets is from when I was a kid and they came out of a can. It’s hard to get over that. But, I’m sure, as a real grownup I probably really would like beets. Debbie @ Coach Debbie Runs recently posted…From Work to Gym with aLign Bag. 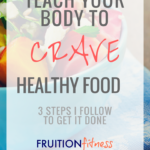 Giveaway and a Workout! I love the subtle flavor these have too. A very nice touch to any dish! I LOVE Love Beets! I don’t think I’ve seen them with mild vinegar before – I’ll need to see if I can find them, that sounds great! I really am going to need to go back for honey ginger! I AM a beet fan! This looks so great to me. Sadly I’m the only one in this house with a fondness for them. They don’t know what they’re missing. Yes, me too! More beets for us! My husband just loves beets. I haven’t been able to like them as much as him, but when they are in things, like salads, I find them a little more palatable. Yes, they are definitely a nice salad add in! I love beets! i have been adding them into my husband and kids smoothies, shhhhhhh don’t tell them, LOL! Growing up i never used to like beet roots. Now i totally love them. I wish i knew the Indian name for quinoa salad. I’m too intimidated by the entire root, that’s why I love these! I am just starting like beets! This looks great! Looks good! I just started making quinoa so I’ll def try this! Thanks! It’s definitely worth it! I’m beet obsessed! I make a beet marinara that rivals any traditional marinara. 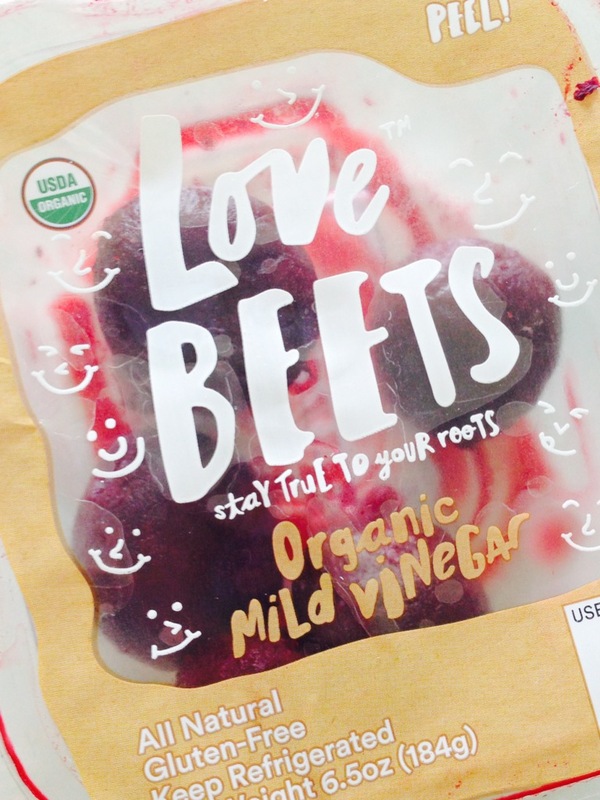 I’ve never heard of Love Beets. Mmmm…that’s sounds so delicious! Love beets is a great find! That salad looks delish! I usually roast my own beets, but this looks so much easier. Thanks fro sharing. Thanks! Yes, this was waaaay easier! I love beets, but they tend to be a summer side dish only. Incorporationg them in a this style of salad is an interesting way to get some variety out of them. Thanks! They were a great add in! I saved your recipe. It has all that I adore. Hi pretty lady! This sounds wonderful!!! Yum yum! 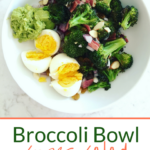 I LOVE beets too, and I have never had them with broccoli, but thats a great combo! 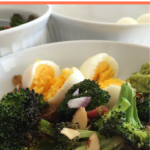 Tina Muir recently posted…Meatless Monday- Wedding Eats! Thanks so much! It was delish! ooh i do love beets but have never heard of Love Beets. 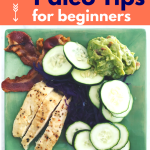 And I love meal prep blog posts – they’re so fun to read AND inspirational. Love the combo of beets and broccoli and quinoa in this recipe. thank you for sharing! Thanks so much! Love Beets made this so easy! I hear you about Whole Foods! It is SO overwhelming! But at least you got beets out of it 😉 I have never seen those beets before, but now I want to venture to Whole Foods in search of them! Thanks so much! Yes, the beets made the whole trip worth it!